Hugh Le Caine the Canadian composer, physicist and inventor was the producer of innovative instruments and technologies including many custom built electronic instruments and pioneering work with multi-track tape recorders, he was also at the forefront of the development of electronic music studios and an early advocate of “user-friendly” approaches to new technologies. Unlike better-known contemporaries such as Robert Moog, LeCaine never saw his major inventions developed directly into complete commercial products, most were one off devices which although were never commercial successes had great influence on the world of electronic music. Among his many creations were the “Electronic Sackbut” and the “Sonde”. The Sonde was developed by Hugh LeCaine at the University of Toronto in 1945. The instrument was a touch sensitive keyboard voltage-controlled synthesizer with pitch, waveform, and formant controllers. A one-off, custom built for the University of Toronto, Ottowa, The Sonde had 30 fixed frequency oscillators arranged in a 10 X 20 matrix used to create 200 sine waves whose frequencies were spaced at 5hz intervals: from 5-1khz. Each frequency was routed to a key of a touch sensitive polyphonic keyboard. Le Caine was brought up in Port Arthur (now Thunder Bay) in northwestern Ontario. After completing his Master of Science degree from Queen’s University in 1939, Le Caine was awarded a National Research Council of Canada (NRC) fellowship to continue his work on atomic physics measuring devices at Queen’s. 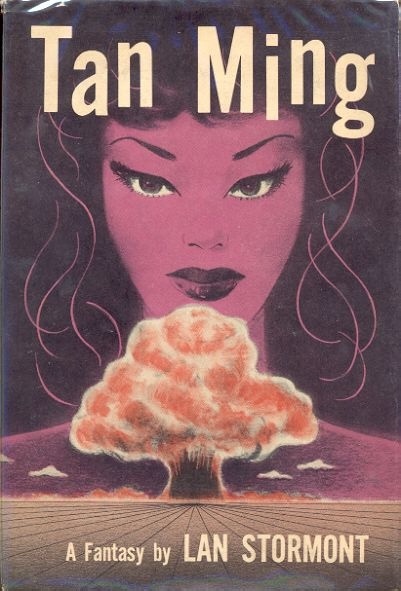 He worked with the NRC in Ottawa from 1940 to 1974. During World War II, he assisted in the development of the first radar systems. On an NRC grant he studied nuclear physics from 1948 to 1952 in England. At home he pursued a lifelong interest in electronic music and sound generation. 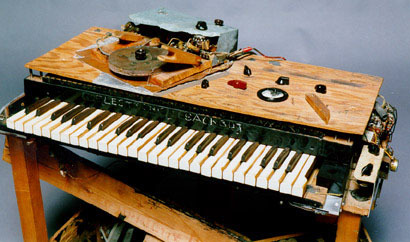 In 1937, Le Caine designed an electronic free reed organ, and in the mid-1940s, he built the Electronic Sackbut, now recognised to be one of the first synthesizers. After the success of public demonstrations of his instruments, he was permitted to move his musical activities to the NRC and to work on them full-time in 1954. Over the next twenty years, he built over twenty-two different new instruments. Between 1955 and his retirement from the NRC in 1973, Le Caine produced at least fifteen electro acoustical compositions and created a score of new devices and also presented his ideas and inventions to learned bodies and the general public. But while Le Caine did get excellent responses from both the learned bodies and the public, he did not get a satisfactory response from industry. Fortunately, a few people did eventually come into Le Caine’s life to make him feel his efforts were of some value. One of these people was Israeli composer Josef Tal. In the summer of 1958, Tal had travelled to Ottawa under a Unesco grant to visit major electronic music studios. 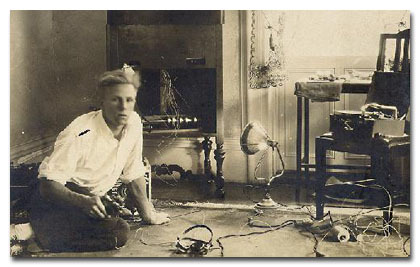 Tal grew very excited about the instruments that Le Caine had built, but he did not realize what this meant to Le Caine until the next day while Le Caine, Tal, and several technicians were having lunch in a small restaurant. Tal noticed that, not only had Le Caine been rather silent on this day, but on close inspection at the table, Le Caine had tears running down his cheeks and falling silently into his soup. When an opportunity arose, Tal delicately asked one of the technicians about this and was told that Le Caine had felt no composer in Canada had a use for his instruments and that Tal was the first composer who had shown any interest in his work. 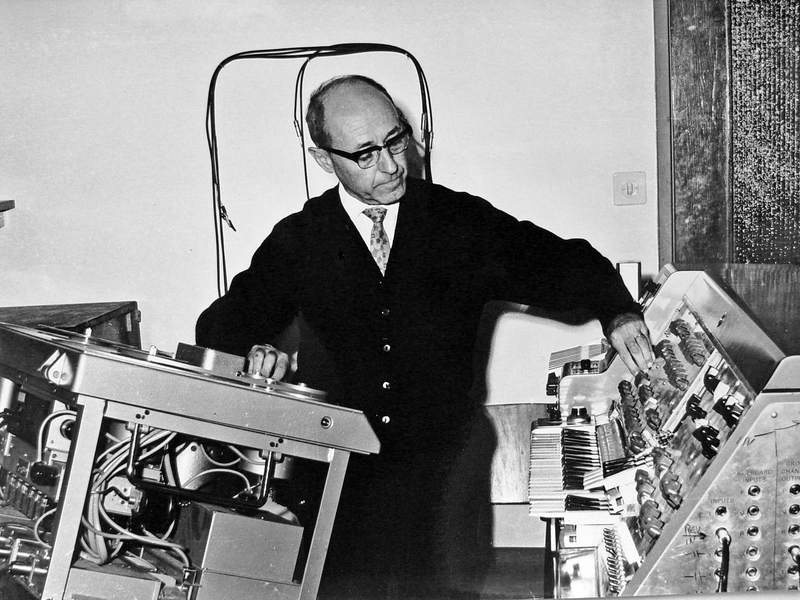 In 1962 Le Caine arrived in Jerusalem to install his Creative Tape Recorder in the Centre for Electronic Music in Israel, established by Josef Tal. 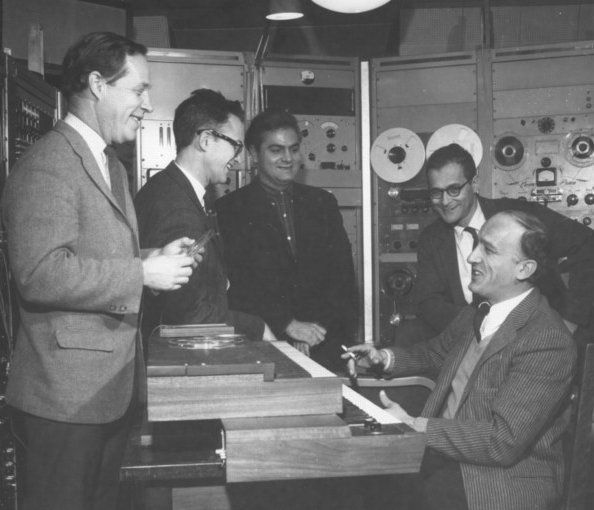 Le Caine also collaborated in the development of pioneering electronic music studios at the University of Toronto in 1959 and at McGill University in 1964.